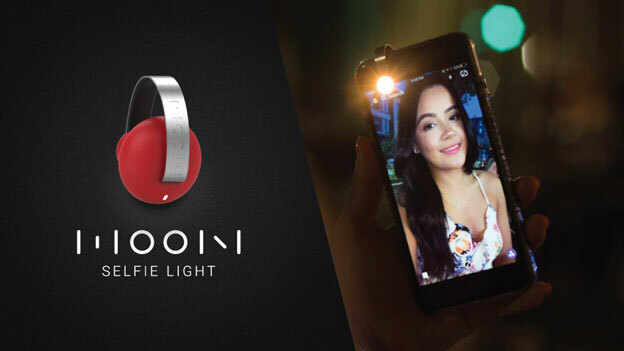 A-Grip Cinema: lets you quickly grab your iPhone to capture a photo or record video with one hand. Hold Button: a rubber button that sticks to your phone and gives you a secure grip. Lets you handle your phone sideways or attach it to your laptop. Tusk: a wearable device that lets you use your phone hands-free. It gets your phone out of the way when you are done. 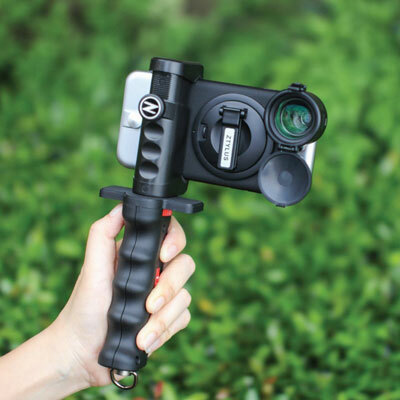 Ztylus Z-Grip: a smartphone rig that fits various smartphones and lets you attach a microphone or light to capture better quality videos. 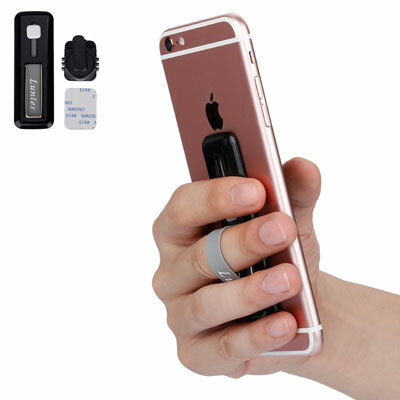 Lunies phone ring holder: a smartphone grip that helps you avoid accidental drops. It is useful for people not used to holding larger smartphones such as the iPhone 6/7 Plus. Have you found other one-handed smartphone holders? Please share them here.